Avid readers of this blog might read this post and think “geez, she’s predictable”. Yup, in this 2015 round up of ‘all things that have really spun my beauty wheels’ there’s a few products that I’ve waxed lyrical about before (yeah, you probably should have put a bet on at the TAB). However, just for a bit of balance, I’m pleased to report there’s a few notable mentions: A newer, product that changed my life; A product I tried in an emergency as my usual tried and tested option had run out – and I’ve never looked back. Oh and a product I initially thought was crap. Curious to see what’s made my 2015 Beauty Favourites? Keep reading! Remember how I used to have a personal goal to not wear the same eyeshadow look within the same week? That goal went out the window when I bought this eyeshadow crayon stick from Mecca Cosmetica earlier this year. 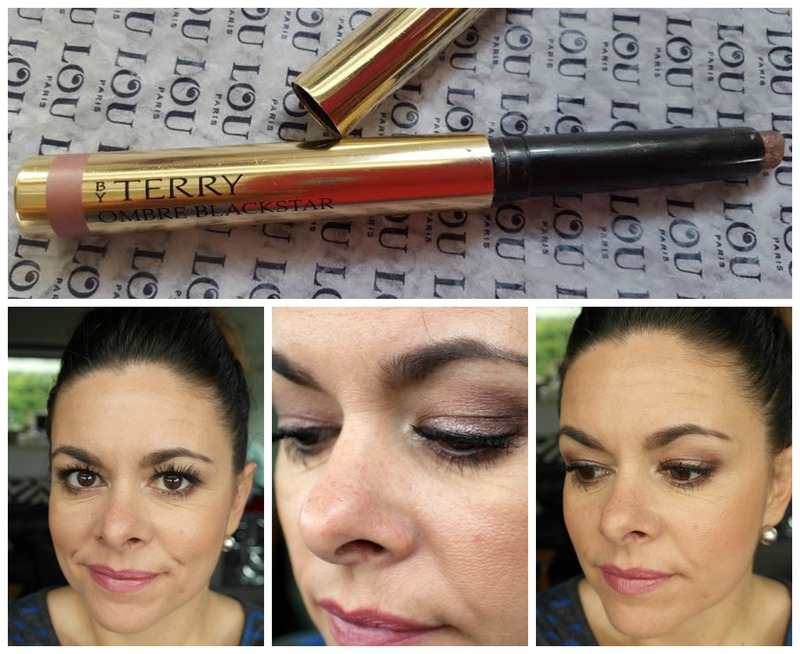 What do I love about By Terry Ombre Blackstar Eyeshadow? I should have written an entire blog post about this product: I’ve got 2000 words at the ready… It’s foolproof to apply, smudge it over your eyelid – done. Next up, the colour is the bomb: It’s a sparkly mauvey/taupey/bronzey number that you can wear as a simple one colour wash over the eyelid blended out at the edges for a subtle shimmer. Alternatively (and this is my favourite) you can pack the sparkly colour on the eyelid, so it’s nice and vibrant, then do fancy stuff like apply a matt colour in the crease and a darker colour at the outer corner – talk about the wow factor. Note, if you’ve got hazel or green eyes, you really should invest in this product, this shade of mauvey goodness will make your eyes POP (check out the colour swatch below). But wait, there’s more: It’s the lasting power of this little beauty that’s got me hot and flustered – It sets like bloody concrete. I’ve been rocking this in muggy, sweaty climes = no budging, no running, nichts. This is impressive considering I’ve got the oilest eyelids in the North Island. This is one of those higher end products you reckon won’t be worth it’s NZ$60 price tag, but you later realise – it so is. I’m going to Auckland at the end of January and a trip to Newmarket to purchase Mark II is on the cards. I’m already in a dither about which colour to get… Available from Mecca Cosmetica. Price NZ$60. 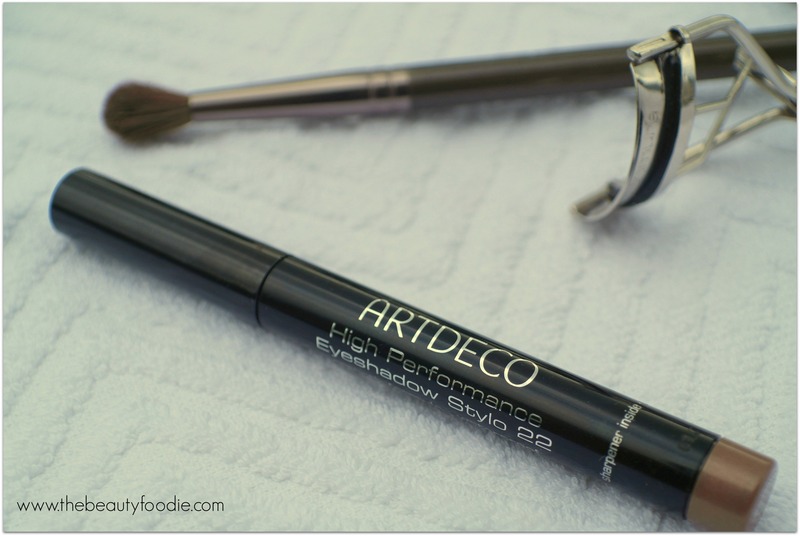 This Art Deco High Performance eyeshadow DID get it’s own blogpost – so I can keep this rave short. If I’m not wearing By Terry Ombre Blackstar in ‘Misty Rock’ then I’m wearing this. I often alternate between the two eye crayons (By Terry and Art Deco) during the week to keep life interesting. Like By Terry’s version, Art Deco’s eyeshadow crayon can be a ‘one product wonder’: Just swipe it on the eyelid, blend it out and you are ‘done burger’. If you aren’t talented at eyeshadow application, you’ll love this simple application. 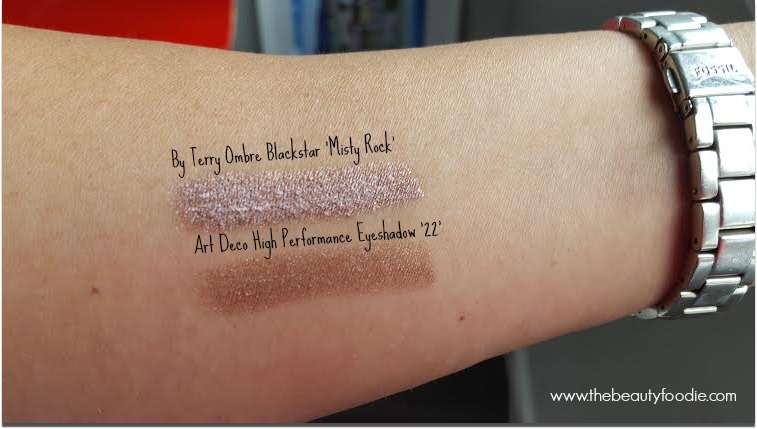 How do the two colours (By Terry’s Ombre Blackstar and Art Deco) compare? Thanks for asking: Here’s a swatch I prepared earlier. 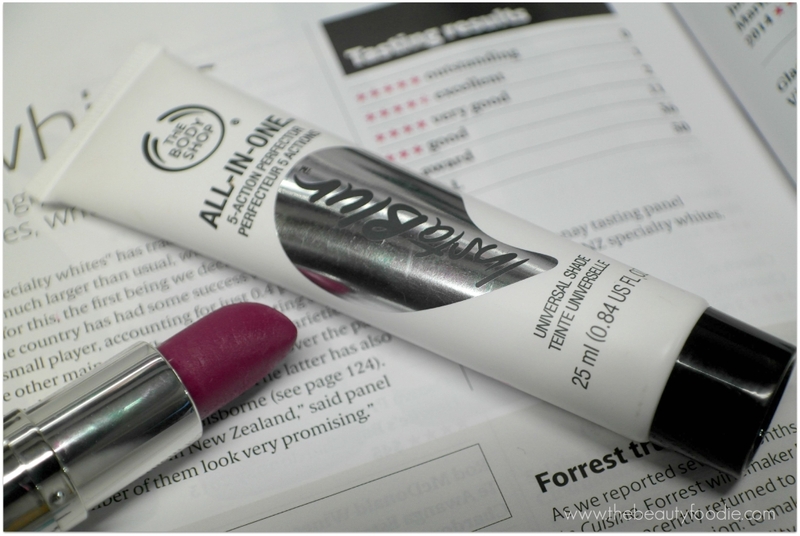 Discovering The Body Shop’s Instablur All-in-One was a game changer for me. Long story short, as Instablur got a detailed mention in my August favourites blog post, whilst this product does a few things (notably, minimising pores and smoothing out your complexion) it is it’s super-duper foundation priming qualities that have me skipping for joy. I’ve tried an abundance of primers: This is the one for me, it’s simply the best at keeping my base intact and oiliness at bay. If I forget to apply this I’m paying the price by 11.00am with shiny and greasy skin. Ewwww. This is one of my few ‘don’t leave home without it’ products. Available from: The Body Shop. Price: NZ$46.25. I ran out of my beloved Clinique Take the Day Off Balm half way through the year and, amidst a crazy week, I didn’t have time to shoot into town to buy some more. I’d heard Coconut Oil was good at taking off makeup so I gave it a bash… Well, I still haven’t bought Clinique TTDOB. This stuff is AH-MAZING and I’m ashamed it’s taken me so long to get on the coconut oil bandwagon. Got dry skin? Coconut oil. Need to shave your legs? Coconut oil. Got itchy bites? Coconut oil. Want a massage? Coconut oil. Need to do some cooking? Coconut oil. My mate Andrea swears by taking a taking a bath with a couple of tablespoons of coconut oil and some essential oil drops. Back to removing makeup: Coconut oil takes off THE WHOLE lot, including waterproof mascara and including the previously mentioned eyeshadow crayons (that stick like concrete). How this works is I apply a smidgen of coconut oil (i.e. 3/4s of a teaspoon) all over my dry face, including my eye area. It’ll start to melt as soon as you touch it. Then I massage it into my eyelashes using my index finger and my thumb until I can’t feel the mascara anymore, it breaks mascara down really quickly! Then, to remove the mucky eye makeup, I gently wipe around my eye area with a cotton pad or tissue and then I wipe the rest of the coconut oil off my face using a damp warm flannel. I then rinse off my whole face and go on to cleanse my face as normal (I’m still love Moreish Foaming Cleanser FYI!). Simple. There is no, I repeat, NO, eye makeup residue left after this (not even the next morning if I’ve had a shower at night). For the bathroom I store a stash of coconut oil in a smaller jar. This one contained capers – it’s the perfect size and it’s great for travel. One thing to mention, if like me, you are the owner of oily skin, you might be skeptical thinking coconut oil will make your skin even oilier. I’ve found it makes my skin less oily – and, as I go on to cleanse as normal, I’ve had no blocked pores (which some people report can be an issue). Coconut oil has been a total winner for me and I’m loving the dosh I’m saving compared to using other more expensive makeup removers! 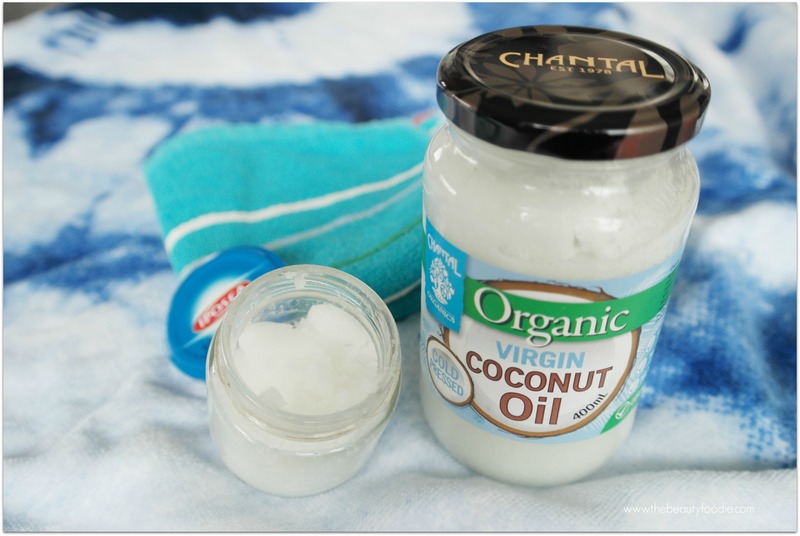 I love Chantal’s Organic Virgin Coconut Oil, yes, the same stuff that you use for cooking (it’s great for roasting veges). Available from: Countdown and New World. Price: NZ$24 (ish). I’ve branched out in 2015 and have embraced a bold lip. 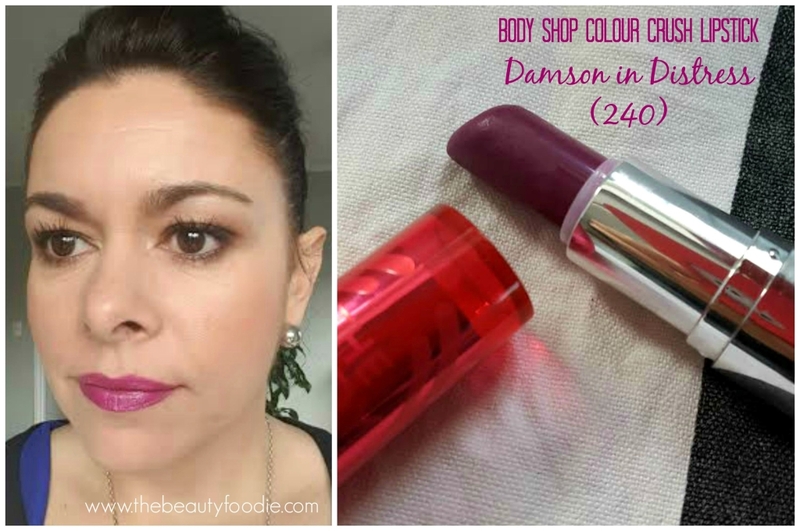 I’ve bought A LOT of bold lippies this year, but it’s the Body Shop’s Colour Crush lipstick in the colour Deep Damson that will be definitely be repurchased when it runs out. I love the colour, the lasting wear and it’s smooth and creamy formula. Again, this is a product I’ve raved about before, here’s more info if you are one of these detail-loving types. A few of my friends have seen me wearing this and have demanded the deets. That’s always a good sign, eh? Available from The Body Shop. Price NZ$27.75. I used to say that mascara was one makeup product you could scrimp on: “Visit the Maybelline stand” I used to say. And then… Then I splurged one day and bought this. Love. Love. Love. 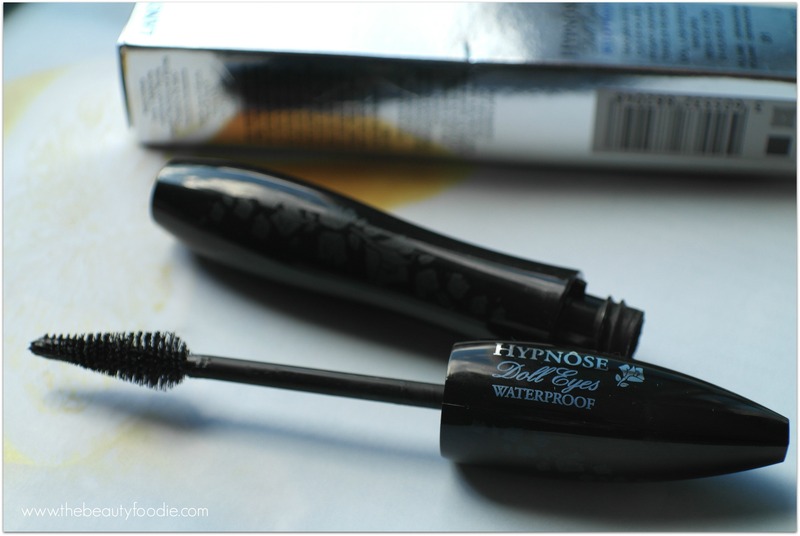 Best mascara ever. With the winning-combo of Flash eyelash serum and the wicked lengthening and plumping combo of Lancome’s Hypnose Doll Eyes mascara, I’m over the moon with my eyelashes at the moment. Check out this blog post for more info. Oh – and this one. Available from Lancome counters. Price: NZ$58. When I first got this fluffy MAC 244 blending brush over a year ago (via a friend who went to the States), I used it a few times and was really disappointed and decided it was sub par to other blending brushes in my modest brush collection. I found it in the back of the cupboard earlier this year and gave it a second chance. Crap, I’d made an initial colossal misjudgment, this brush, on account of its large size and fluffiness, is phenomenal for blending. How good? It’s easily the best blending brush I own. Since I’ve made this realisation I’ve used this brush most everyday. I need to bleat on a bit more about the power of a fluffy blending blush. Why? 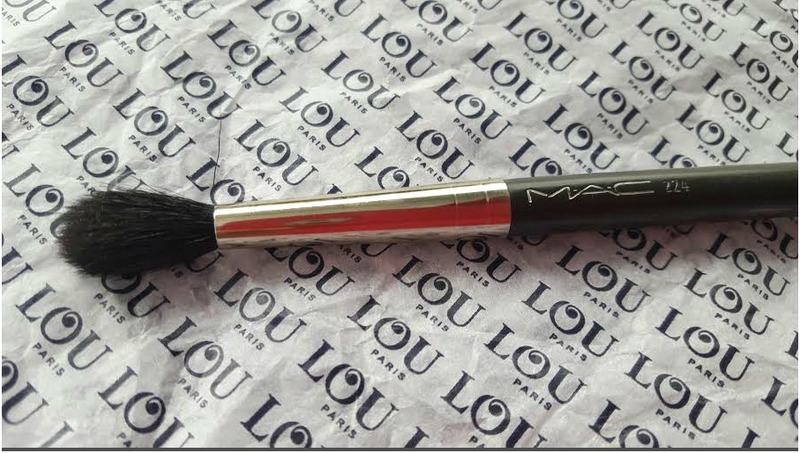 You see, I reckon the key to beautiful eyeshadow is to get a fluffy blending eyeshadow brush, like this MAC 244 brush, and blend the hell out of the edge of your eyeshadow so it seamlessly blends away. I simple swipe the brush back and forth, in a windshield wiper motion (sometimes up to 20 blending wipes! )… The result is eyeshadow perfection. Available from: MAC Cosmetics. Price: My brush was US$32 (expect to pay a bit more than that in NZ$). And that’s it! 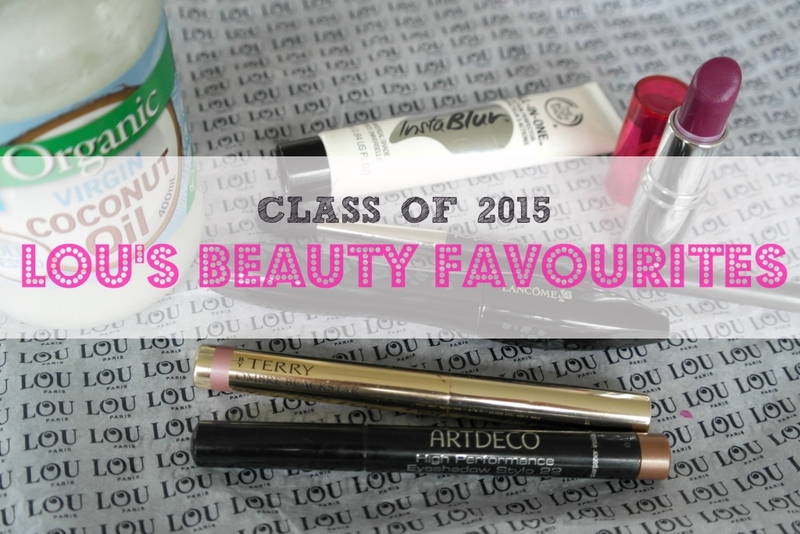 My Class of 2015, beauty favourites. What tops your list?